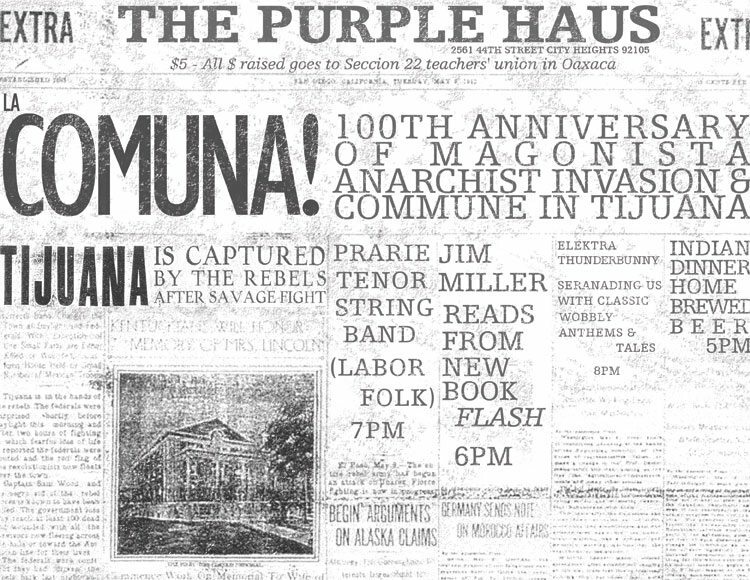 On Saturday, May 14, we’ll be celebrating the 100th anniversary of the victory of the Magonista liberation army and establishment of a short-lived commune in Tijuana with a book release event for Flash (AK Press) by Jim Miller and an acoustic show at the Purple Haus. 5 pm – Vegan Indian food will be available for purchase for $5. There will also be home-brewed wheat beer!